In this article I’m going to go over why you should be using YouTube, if your not already. How to be successful on YouTube, how to grow your YouTube channel, how YouTube ranks video’s, and the 10 most important things you should be focusing on, when you are creating and uploading content. I started uploading to my YouTube channel back in October of 2017, creating content for online gaming. I wasn’t getting very many views or subscribers, and I was making decent content. 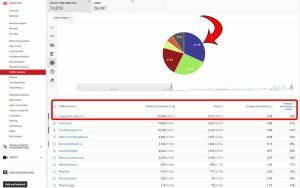 So I started doing some research on how to increase my traffic, how YouTube ranks videos, and what I needed to be doing, to make a successful YouTube channel. After literally hundreds of hours of doing research, this is what i have found out. I have be following these steps for about the past 6 months and as a result, I have been gaining subscribers on almost a daily basis. I have racked up 27,330 views to date, in just the past 6 months alone. I’m sure some people are saying “that doesn’t sound like a lot”? But these are pretty good numbers, for just starting out. 98% of YouTube channels take years to build large audiences. Think of it as if you were running a business, think about how many possible new customers that would be. A normal conversion rate is around 5%. Thats 1,366 possible sales or leads if all my videos were focused around 1 product or service. All without a penny spent. So first, the why. 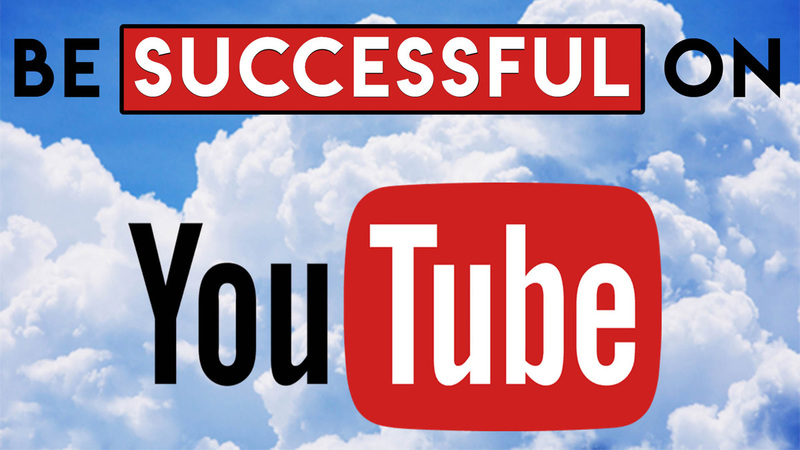 YouTube is one of the few platforms left that is extremely helpful in generating organic traffic if your running a business, website, or even a blog. YouTube is second largest search engine in the world, next to google. It is the 3rd most visited site on the web. YouTube processes more then 3 billion searches each month. That’s more then Bing, Yahoo & AOL combined! There is over 100 hours of video uploaded to YouTube every minute. Searches related to “how to” on YouTube are growing by 70% year over year. Not to mention google owns YouTube. So if you have a good video about “insert your topic here” Then google is going to show your video first in the search results. Think about it using just the numbers i mentioned earlier from my gaming channel. 27,330 views in 6 months. A normal conversion rate is around 5%. So that would have been 1,366 potential sales, from totally organic traffic. Have you started your channel yet? Ok, enough about how big an awesome YouTube is, I’m sure you get the point. Once you have your channel all setup, I would also recommend getting the browser extension called TubeBuddy. It’s completely free to use, or it has a pro version that gives you access to a few more features. I just use the free version and feel its enough for me. But, if you are looking to really be a YouTube pro, then maybe look into the paid version. 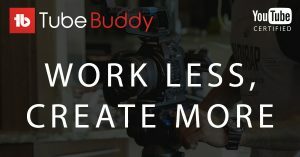 TubeBuddy helps you with keyword research, suggested tags, allows you to see other peoples tags, and has check list of best practices to follow when your uploading, along with a bunch of other really cool features. I plan on making a video of all the features TubeBuddy has and how to use them pretty soon. I’ll post it here when its done. YouTube works a lot differently than google, in terms of SEO and when it comes to ranking your videos. There are hundreds of different factors YouTube looks at when it ranks your video’s, and some of them are unknown. But, the major ranking factors we do know about. Here is a list of the 10 best tips and tricks you can follow when your creating and uploading content on YouTube. 2. Boost video engagement singles – Videos with lots of engagement singles, rank higher then videos with fewer engagements. What are video engagements? Likes, Comments & Shares. So be sure you share your videos with your friends, post them on social media and be sure to engage with your audience when they comment on your videos. How do you get people to comment on your videos you ask? By Putting a very specific call to action at the beginning and end of your videos. So for example, at the end of your videos, ask your audience what was there favorite part of the video? Ask a question that prompts a response. 3. Tags are important – Use them properly. Your video tags are designed to help YouTube understand the content of your video. Using lots of different tags will just confuse YouTube and they wont know where to properly place your videos. Use a small number of highly specific tags. Brain Dean has came up with a formula he calls “TAB” Target keyword, Alternative & Broad. Just like with titles, YouTube puts more weight on tags that appear first. So for example, lets say our video was about football, and are video title was “football tackles – top hits of all time” your video tags would look something like this. football tackles, hardest hitting football tackles,football tackles compilation, NFL, Contact sports. You can find other variations of your keywords by using the search box. Type in your keyword and then look at the suggested titles. 4. Use custom thumbnails – Youtube puts a higher ranking on videos that have a higher CTR. (click through rate) CTR is an important YouTube ranking factor. You want to design your thumbnails that look engaging. Do some research on other videos that show up when you search your keywords. Design your thumbnail so that it stands out from the rest. Use big bold easy to read text. Thumbnails with texts, get more clicks than videos without. 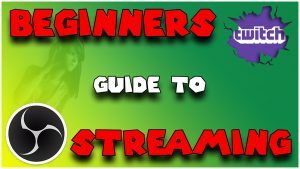 Here is an example of a custom thumbnail for a video I did on my gaming channel for a guide on how to start streaming. 5. Video Description – Longer descriptions help videos rank better. Write a mini blog post for your description, roughly 100-200 words. Give an outline of your video, without giving out all the good stuff. The video description is also what people searching will see when your video shows up. So make sure you are giving a clean and clear description of the videos content, early on in the description. The first part of the description should be an outline of what the content is about. 6. Video Length – Longer videos almost always, out rank short videos. A few years ago, YouTube said in a blog that, “we focus on those videos that will increase the amount of time that the viewer will spend watching videos on YouTube” In other words, YouTube likes videos that keep user watching videos on YouTube for longer periods of time. The average suggested watch time whenever its possible make your videos between 8 and 16 minutes long. 7. Suggest Videos – Suggested videos is when your videos show up in the side bar, next to another video that is related. If you can get your videos to show up next to an extremely popular video, you will end up stealing some of there views. How do you do this? By using the same tags as that popular video. When YouTube see’s that your video has the same tags as another video, they are more likely to add your video next to it as a suggested video. This is where the TubeBuddy extension that I mentioned earlier, really comes in handy. So again, do some research before you publish your videos and see what tags other popular videos are using around your topic and be sure to include those tags. In my opinion, this is one of the most important factors, as suggested videos account for almost 1/3 almost everyones views and watch time on YouTube. Here is a picture of the analytics from my YouTube gaming channel. 8. Invest in equipment – If you are not looking get extremely involved in YouTube, and your main goal isn’t to grow your you channel, then you can skip this step as long as you have the essentials covered. Microphone, Camera, etc. But if your main goal is to become a well known creator on YouTube and, you want to produce high quality content, then you should invest in some decent equipment. You do not need to go out and buy the latest and greatest equipment. But, you do need to have a decent setup. I would recommend making sure you have a decent computer that can edit video, a camera or webcam, and a decent microphone. 9. Content is king – The title says it all. Content is king on YouTube. If you want to build an audience and grow your subscribers then you need to make high quality content that looks good. If you are not skilled in video editing and don’t already have a program like Adobe Premiere then i would recommend Davinci Resolve. It is a completely free program and is what i use to edit all of my videos. Its very easy to learn and there a lot of really good guides on youtube to help you get started with it. Here is one of the guides I first followed when learning to edit video in Davinci Resolve. 10. Focus on 1 topic – This is something I learned the hard way and, a lot of other new YouTube creators make the same mistake when starting out. You only want to focus on one topic and not make random videos about other things. For example, when I started my gaming channel I was making good videos about the 2-3 specific games I played and then I would randomly throw in a video about guns or truck driving. Needless to say, these videos did not do well on my channel. The small audience I had started to build up didn’t care about those topics, and that’s not the type of content they wanted to see when they subscribed to my channel and this can even result in people unsubscribing from your channel. So try and keep all of your content focused around one topic. So these are the 10 most important factors to be aware of, and that I would recommend you follow when you are creating content on YouTube. With all that said, keep in mind that content is still king. If you are producing high quality content, more then likely you are going to get views and watch time, so don’t stress it to much. If you have already been following all of these steps and your looking for the next thing you can do to improve your channel, I would recommend you start learning how to read and understand your YouTube analytics, and how you can increase your audience retention. Another great resource would be Brian Dean on YouTube. He has multiple videos that go into great detail about growing your channel. I Hope this article was informative, and I impressed upon you how helpful YouTube can be, as a tool to promote your business. If you have any questions or comments please leave them below and I will do my best to answer them. Thanks for taking the time to real this article.